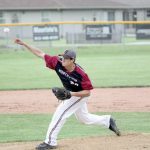 Tuesday, April 18, 2017 6:00 PM Northview High School AWAY 6 West Vigo High School HOME 2 Game Recap Knights win 6-2, Luke Lancaster gets the win on the mound. Two hits and two RBI for Matt Clawson. Braydon Tucker one hit one RBI. Saturday, April 15, 2017 3:00 PM Knights Invitational AWAY 2 Northview High School HOME 9 Game Recap Knights win 9-2 over Indian Creek Alex Reinoehl gets the win on the mound. Brigham Booe had 4 hits and Alex Reinoehl had 2 hits. Saturday, April 15, 2017 10:00 AM Knights Invitational AWAY 3 Northview High School HOME 9 Game Recap Knights defeat Hobart 9-3 Braydon Tucker gets the win on the mound, Tucker also had 3 hits in the game and Luke Lancaster, Matt Clawson, and Mitch Howald had 2 hits.